A newly engineered lifting system is raising the bar when it comes to the manual handling of goods thanks to Desford-based business, M J Products. 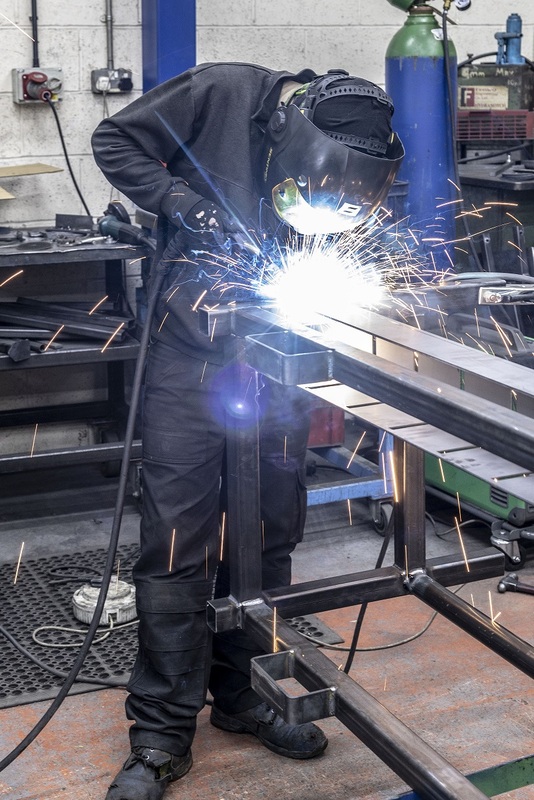 The advanced manufacturing business has used a grant from the Leicestershire Collaborate project to purchase equipment which is proving to be a significant game changer for the company. M J Products was formed by engineer Mark Jackson in 2009. With over 25 years’ experience in the design and manufacture of products for handling Mark set up the business to design and develop a bespoke lifting solution, initially for Dunelm Mill. 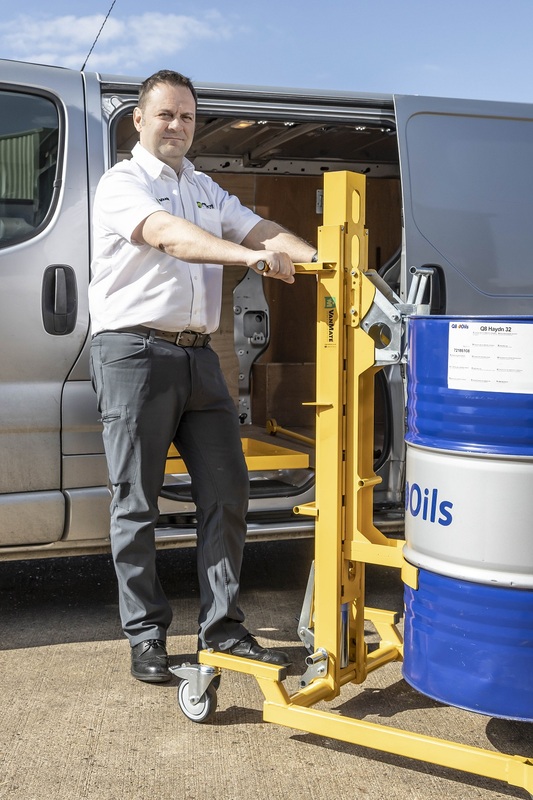 His products primarily use patented foot operated lifting technology with lightweight manoeuvrable lifting equipment for handling loads – whatever it may be – of up to 250kg, removing the need for manual handling. Mark brought manufacturing in-house in 2017 and one of the key drivers in doing this was the development for VanMate, a version of his products which uses an innovative lightweight modular lifter. VanMate can be quickly disassembled and loaded into the van to enable remote delivery of goods without the need for a separate handling device at customer or satellite operations. 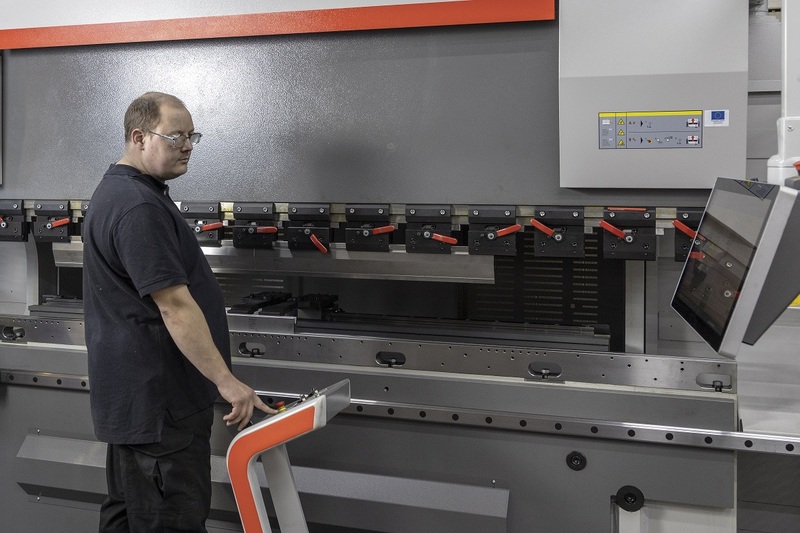 A Collaborate grant of £25,000 has helped towards the purchase of a press brake – sheet metal folding equipment – which means they can make VanMate in-house overcoming their challenges in sourcing repeatable and accurate folded parts from local suppliers, also reducing lead times and saving money in sub-contracting. The grant has also helped towards the purchase of a new demo van fitted out with VanMate technology and company livery enabling them to demonstrate the new system on customer sites. It is already used by Euro Car Parts for daily delivery of 205-litre oil drums, reconditioned engines and gearboxes to customers across the UK. Mark commented: “The funding has allowed me to invest in the business and develop a manufacturing infrastructure to enable growth. The new press break has enabled us to accelerate new product development and production. This is a very exciting time for M J Products as we get ready to showcase VanMate and our other products for the first time at the Commercial Vehicle Show later this month. Further details about Collaborate can be seen here. Pic1: Mark Jackson, Managing Director MJ Products with the VanMate. Pic2: Mark Jackson demonstrates the VanMate. Pic3: Lee Kendall, Process Technician operates the new press brake machine creating parts for the VanMate. Pic4: VanMate parts are welded together in-house.